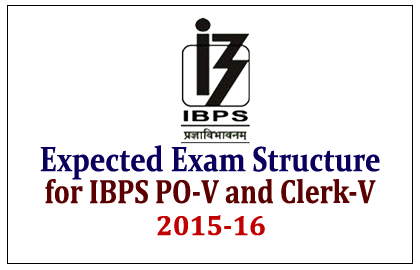 Institute of Banking Personal Selection has been decided to conduct two-tier examination for the recruitment of IBPS PO-V and Clerk-V. The expected exam structure for those exams was given below. Candidates those who are registered for the examinations will be called for the Preliminary examination, which was expected to be in the below format. Candidates those who are cleared in the Preliminary Examination will be shortlisted and called for the Main Examination and its expected structure was given below. In the General Awareness part there is chance to ask more questions related to banking sector. Marks that obtained in the Preliminary examination will not be considered for the final result and only the marks of Main examination will be considered for the next process.